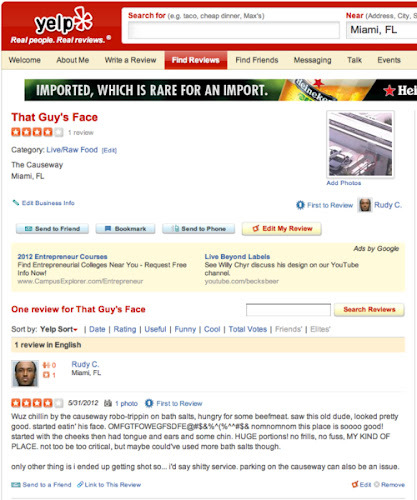 That Guy's Face is a foodie's dream: esoteric location, unique menu, and notoriously avant garde. If you're in Florida, give it a try. Eating another man's face is always an avant garde experience, even when it's sans the delicious bath salts.